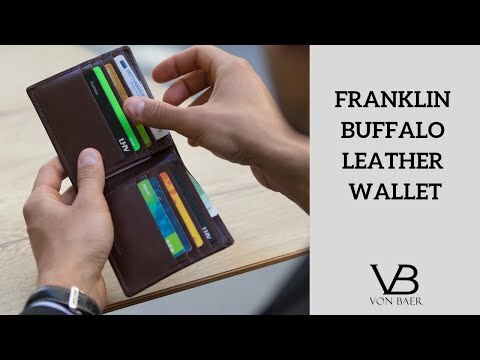 This Franklin men's leather wallet is crafted from premium full-grain buffalo leather. This wallet is designed to hold a multitude of cards and notes comfortably. Its size makes it perfect for everyday use and ensures it will last for years into the future.